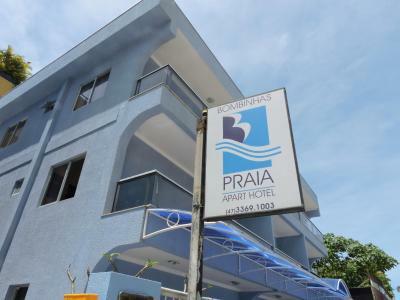 Lock in a great price for Bombinhas Praia Apart Hotel - Unidade Bombas – rated 8.7 by recent guests! Banheiro muito bom, bem limpo. Quarto pequeno mas muito bom para ficar custo beneficio muito bom. O hotel oferece cadeiras e guarda sol, sem custo, para os hóspedes. 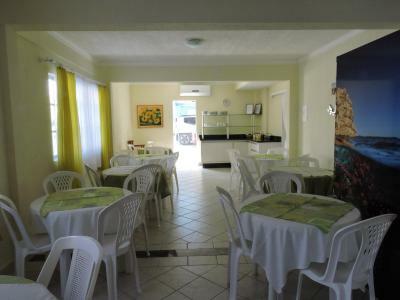 Localização ótima, café da manhã muito bom. Oferecem cadeiras e guarda sol de cortesia, o que em outras são cobrados. O café era bom. 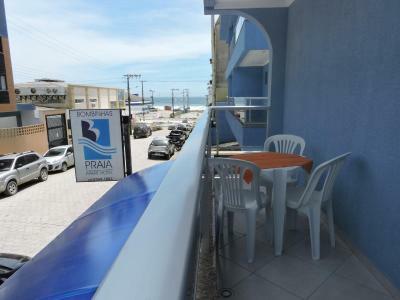 Excelente localização, perto de tudo: praia, restaurantes e supermercado. Gostei muito do quarto cama confortável banheiro sempre bem limpo, indicaria para outros hóspedes. Cama confortável, localização ótima na Prraia de Bombas, que tem calçada e praia com iluminação. 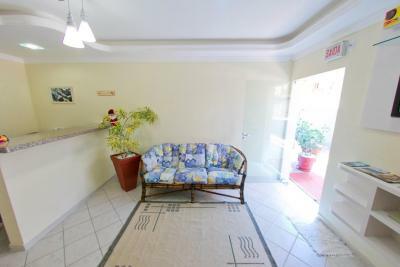 Bombinhas Praia Apart Hotel - Unidade Bombas This rating is a reflection of how the property compares to the industry standard when it comes to price, facilities and services available. It's based on a self-evaluation by the property. Use this rating to help choose your stay! One of our top picks in Bombinhas.Located only 250 feet from Bombas Beach´s sand, Bombinhas Praia Apart Hotel offers rooms with free WiFi access. Practical, this accommodations has a 24-hour reception. 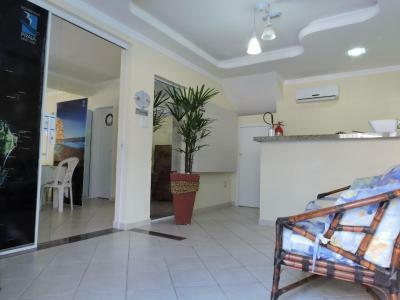 The rooms at Bombinhas Praia - Unidade Bombas feature a TV, air conditioning and a mini-bar. The private bathroom come with a shower. The property also provides beach chairs and sun parasols free of charge. 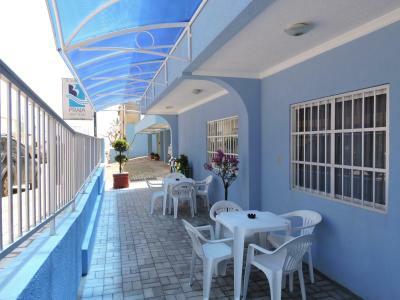 The property is 50 mi from Hercilio Luz International Airport and 3.1 mi from Porto Belo Bus Station. Mariscal Beach is 4.3 mi away, while Morro do Macaco is 2.5 mi away. 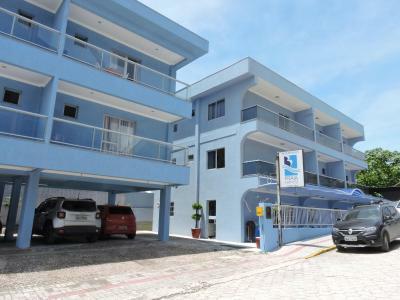 When would you like to stay at Bombinhas Praia Apart Hotel - Unidade Bombas? 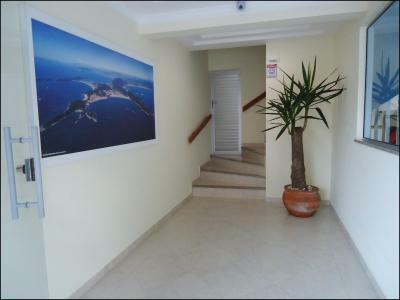 With a balcony with sea views, this apartment features a TV, air conditioning and a mini-bar. 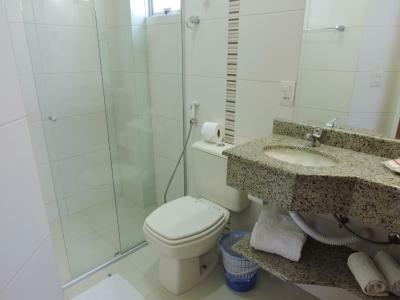 The private bathroom comes with a hot shower. 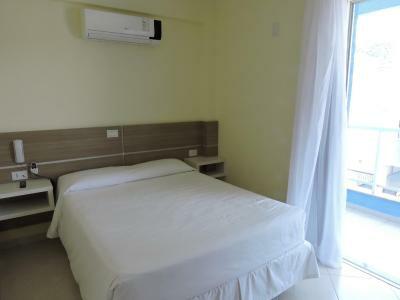 This twin/double room has an air conditioning, a mini-bar and cable TV. It features private bathroom. This apartment has a balcony, mini-bar and air conditioning. This apartment features a stovetop, mini-bar and kitchenette. This suite has a balcony, air conditioning and soundproofing. House Rules Bombinhas Praia Apart Hotel - Unidade Bombas takes special requests – add in the next step! Bombinhas Praia Apart Hotel - Unidade Bombas accepts these cards and reserves the right to temporarily hold an amount prior to arrival.